Scotland’s first female operator in Malt Distilling is due to celebrate her retirement this week (9 March), and Diageo is marking the occasion in a rather ‘neat’ way. After 31 years’ service at Dalwhinnie Distillery, working in the warehouse, mash house and the still house Liz Stewart - or ‘Lizzie’ as she’s known - is hanging up her distillery operator’s overalls for retirement. In recognition of her dedicated service and iconic role as Scotland’s first female operator, Diageo is marking the occasion with the launch of a new exclusive distillery bottling aptly entitled ‘Lizzie’s Dram’. Lizzie (57) first made waves in the Scotch Whisky industry when she broke the mould to take on a role in a traditionally male-dominated field. 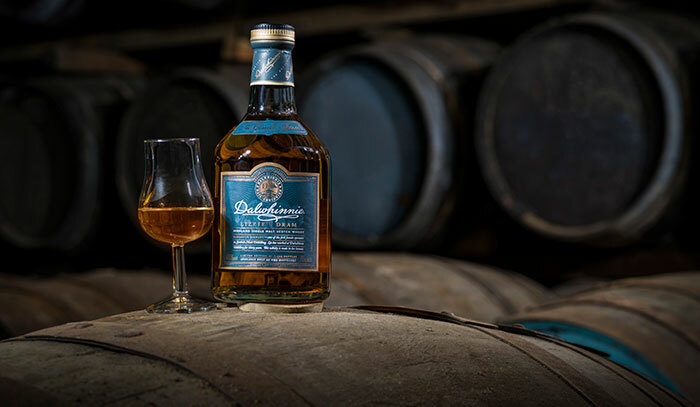 She first started her career at Dalwhinnie Distillery in 1987, following in the footsteps of both her mother and brother, and throughout her service has worked in various capacities including in the warehouse filling casks, in the mash house overseeing mashing and fermentation and in the still house creating Dalwhinnie’s famous spirit. Lizzie also had a spell showing visitors round the distillery as a tour guide. Commenting on her journey, Dalwhinnie local Lizzie said: “I have loved every moment of my time working in the Scotch Whisky industry, and can’t quite believe that it’s coming to an end. Lizzie is among Diageo’s vanguard of female distillers, engineers, blenders and brand ambassadors. At Diageo in Scotland, a quarter of all its apprentices are female; 17% of the malt distilling workforce is female and 40% are in management roles, reflecting the company’s focus on diversity in its workforce.